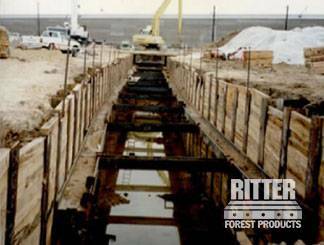 Ritter Forest Products provides crane mat rentals in Illinois for a wide variety of applications and industries. 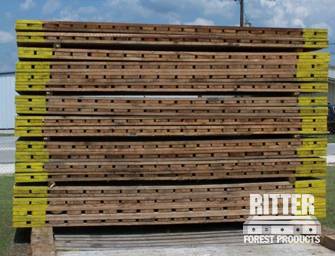 With crane mats, custom cut mats, dragline and digging mats, outrigging pad and transition mats, pipeline skids and timbers, shoring material, laminated and timber mats for rent in Illinois, we have mats to suit any need. 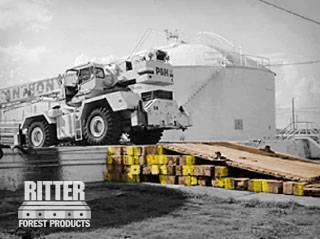 Regardless of what project you are working on, the soil conditions, or what equipment you are using, our crane mats, laminated mats and timber mats will stabilize your equipment and give you a stable working area. 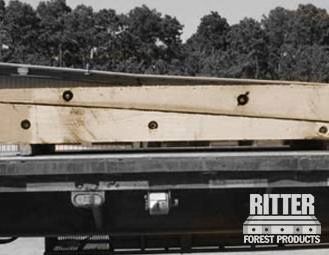 Our crane mat rentals in Illinois are used in construction, pipeline and When you are conducting excavation or construction work in an unstable area or you need to transport equipment across soft, wet or uneven ground, laminated mats and dragline mats for rent from Ritter Forest Products will help you get equipment to where you need it safely. Putting the right mats in place while you work can prevent costly damages to your equipment and stop your equipment from getting stuck. It can also prevent hazards and injuries to employees working on an unstable ground. Our crane mat rentals in Illinois are available in a set of standard sizes to suit most types of equipment and applications, or you can select custom-fitted timber mats or skids to suit heavy construction equipment and other machinery. For more information on any of our mats and other timber products, to get a quote or place an order, contact us today.